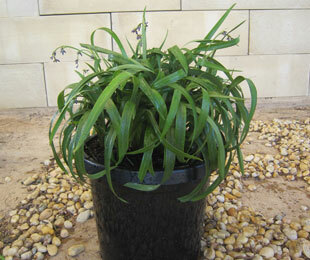 Description: Twisty™ Dianella with compact twisting foliage. At about 8 to 12 months old it gets twisted curly foliage. It will keep that way for years. At this stage, it can be cut back close to the ground and it will start to twist again. Size: 40 – 50cm high x 40 – 50cm wide. Position: Full sun to part shade. Tolerates light frost to -2 degrees. 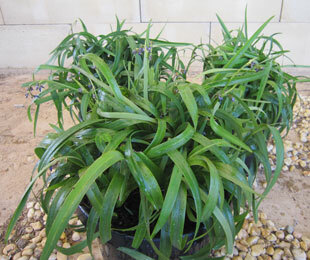 Twisty™ Dianella suits most soil types but it’s best to avoid nutrient poor soils. Not suited to colder climates that receive frosts below -2 degrees. Care: Water as required for 8-13 weeks until established. Plant in a well mulched garden (chunky mulch is recommended). Ensure crown or base of plant is not below soil or mulch level. Use slow release fertiliser in spring (especially for nutrient poor soils). Remove older foliage as required or every 2-3 years cut back close to the ground (will look better with pruning every 2 years, this depends on your requirements). Where it works: QLD & Northern NSW. 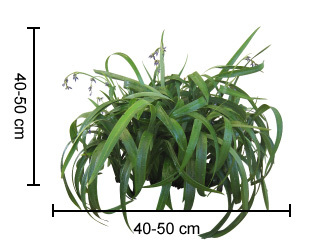 For more detailed information on Twisty™ Dianella click here.